This forecast was published 12/06/2018 at 7:06 AM. 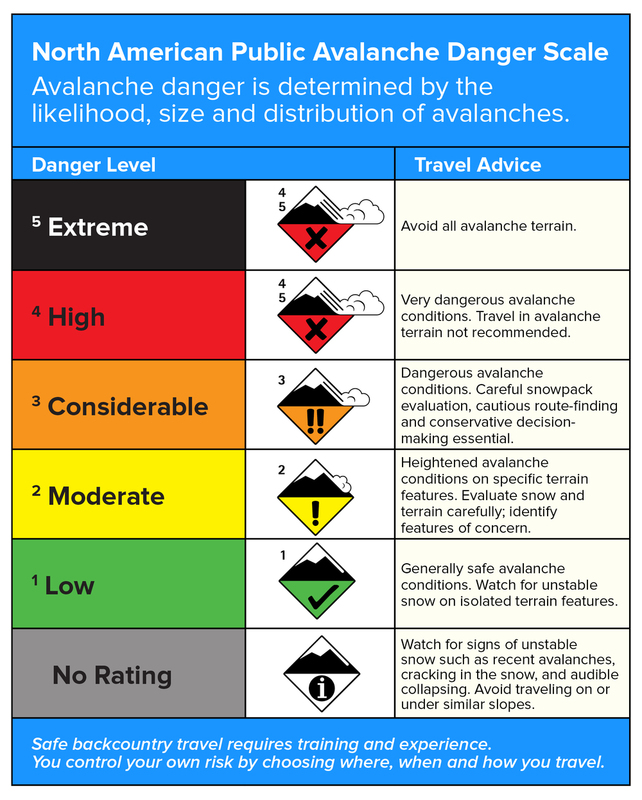 This is an archived avalanche forecast and expired on 12/06/2018 at midnight. Today’s range-wide avalanche danger rating of LOW will depend upon the summits receiving the lower end of the one to three inches of snow during the daylight hours. Steep, higher elevation slopes with east through south aspects may develop wind slabs that are on the larger side of small if snow and wind loading exceed our current expectation of arrival later in the afternoon and evening. Stay vigilant for accumulating and blowing snow and change your route if you encounter “upside-down” snow with firmer snow over softer snow. Three inches of snow may not seem like much but if wind blows in the 50 mph range from the west, wind slabs one foot or more thick could result in east facing terrain. Calm winds and fair skies yesterday allowed folks to enjoy the rare calm conditions around the Presidentials. The wind began to increase and shift to the northeast and north last night and is currently blowing in the 40 mph range from the northwest. An inch of new snow fell at Hermit Lake since yesterday afternoon. One to three inches more snow is forecast to fall today on the summits. This new snow and winds at a speed that is right for loading snow onto leeward slopes of a northwest wind is creating today’s avalanche problem. 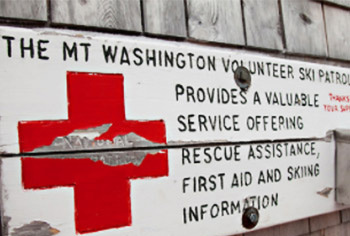 The high temperature on the summit will remain in the single digits. Wind slabs on steep, east and south facing ravine elevation slopes from recent or ongoing wind loading should be on your radar today. Reduced visibility due to summit fog will make identifying the newly formed wind slabs challenging. 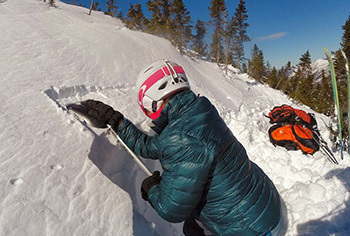 Avoid hollow sounding slabs of snow and be aware of who or what is above you on the slope. Avalanches are unlikely today unless you seek out areas of deeper, wind deposited snow. About 5” of new snow has fallen since rain fell all the way to the summits. Some of this snow was very low density and easily transported. 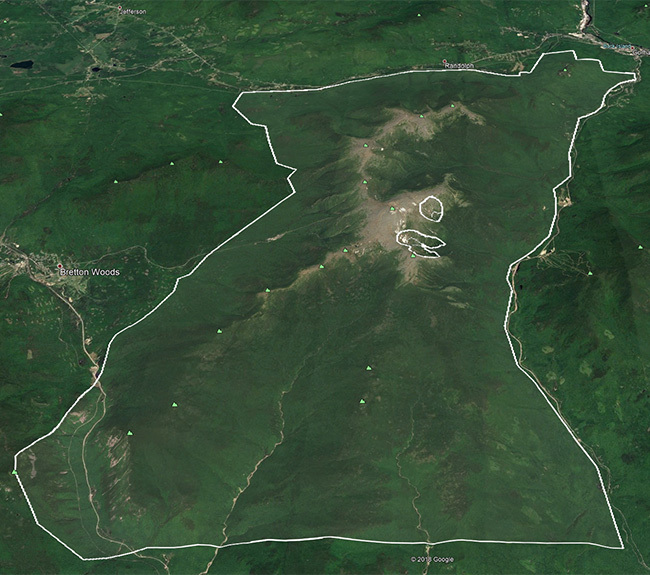 Yesterday, the soft wind slabs that resulted were stable in a few areas where skiers tested them in Tuckerman Ravine. These slabs were around boot-top depth on aspects that faced east and south. One skier commented that it was surprising to find areas of boot-top snow on a slope with a Low danger rating. A four hour period of blowing snow with winds from the north to northeast was reported overnight and likely refilled slopes with a southerly aspect. Lower elevations in Crawford Notch showed all the signs of a thaw with a 2” thick breakable crust over deep and sugary snow. The crust could break away at times on ice climbs and steep slopes. Steep open areas at all elevations are supportable more often than not on the rain crust, though that crust won’t be prominent at upper elevations that received the 5” new snow and wind loading. Some slopes still present a long-sliding fall risk due to the firm, refrozen crust. Posted 12/06/2018 at 7:06 AM.